Heather Mosher was married to her husband David on December 22nd, 2017. Eighteen hours later she passed away from breast cancer. The wedding took place exactly one year since the day of both her diagnosis and engagement — as her husband took her on a carriage ride and decided to go through with his pre-existing plans to ask her to marry him. “Nobody thought she would’ve made it that far. 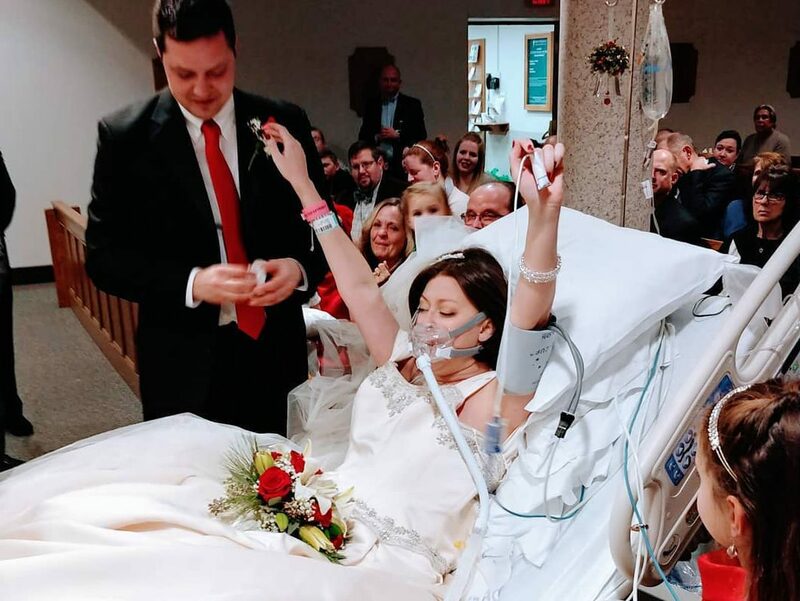 She proved them all wrong and that’s what that photo says to me,” her husband said of the photo that went viral of his wife celebrating her wedding which took place from her hospital bed at Saint Francis Chapel. The wedding was moved up from December 30th when cancer spread to Heather’s brain. “She was tough. Anyone else would have given up a long time ago. The doctors even said we don’t know how she’s still here,” said David. Heather’s final words were her vows to David. To see someone declare their love to each other despite all odds is beautiful.